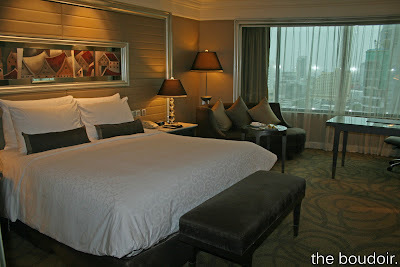 The Intercontinental Hotel is not a hotel I have wanted to stay in, but one that has been chosen by my family. It wasn't as I expected it. Nice spacious lobby area. Great location near the best shopping malls. Nice spacious contemporary rooms, excellent hotel services and room service. I hated the fact that it was a very crowded hotel with lots of kids running around.